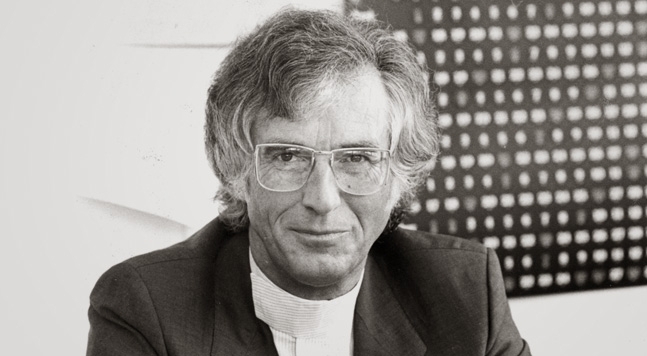 German Industrial-Designer Rido Busse came up with the idea of a negative award at Frankfurt Fair as far back as 1977, when he discovered a Hong Kong vendor promoting an exact imitation of weighing scales that he himself had designed for the renowned German company Soehnle-Waagen. The imitator was undercutting the price sixfold. However, the cheaper price also reflected the poor quality of the copy. The original was moulded in high-quality ABS plastic, whereas the copy was moulded in a low-quality polypropylene which affected the accuracy and performance of the scales dramatically. Busse was wondering what to do and found out that back in 1977 the legal situation in Germany did not at all sufficiently protect creatives against plagiarism. At that time, Rido Busse decided to call public attention - and especially the attention of German legistature - to the problem of counterfeits through the media by awarding an anti-prize to the brazen imitators. The trophy of the black gnome with the golden nose is a symbol for the exorbitant earnings product pirates collect at the cost of innovative companies. The trophy was created by Rido Busse to express the German aphorism "to earn oneself a golden nose" meaning to earn a lot of money. 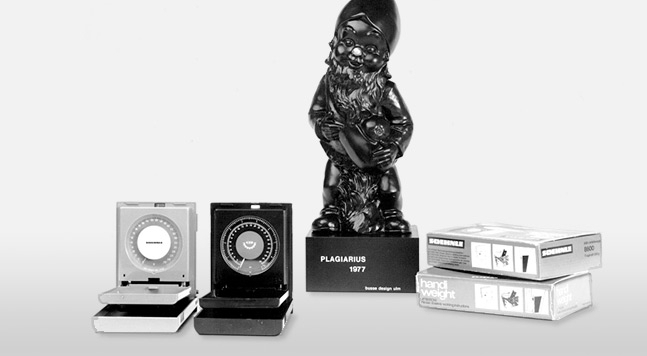 The first award winner of the negative prize "Plagiarius" was the company "Lee" from Hong Kong, who first offered copies of the Soehnle scales at the Frankfurt Fair. Started as a "One-Man" public campaign in 1977, the German Industrial Designers’ Association (VDID) took over the patronage of the Plagiarius Award in 1980. Since 1986 Aktion Plagiarius e.V. is an independent registered society.